Mixed (144) - 46% of the 144 user reviews in the last 30 days are positive. Mixed (2,405) - 57% of the 2,405 user reviews for this game are positive. 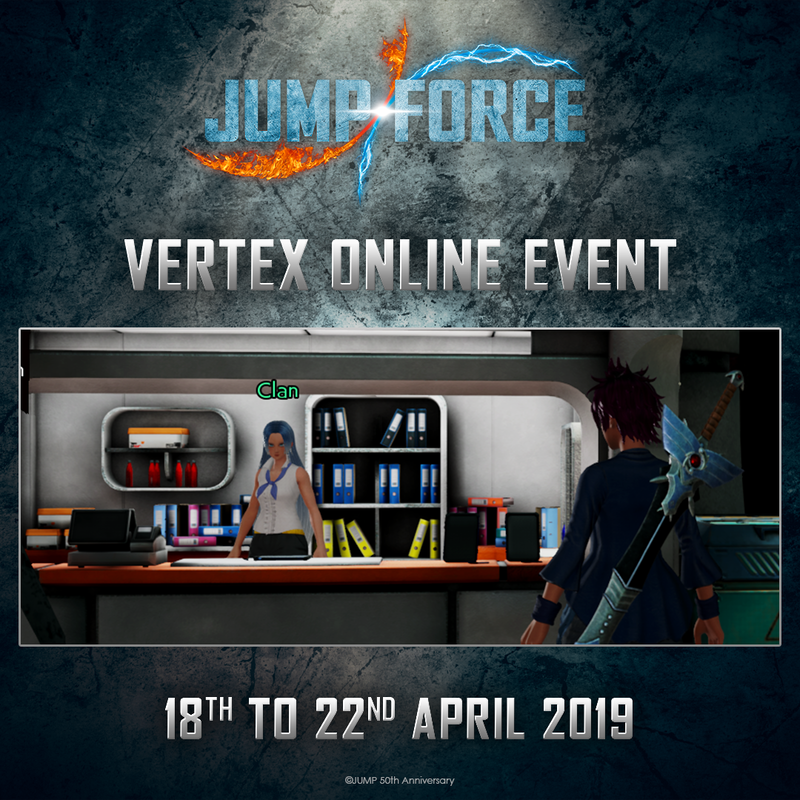 The Vertex online event is live in JUMP FORCE until the 22nd of April. Do you have what it takes to lead your clan up to the platinum rank? The more you collect, the better your clan’s rank will be! Clan Points can be earned by battling online, purchasing items in shops, or performing various challenges and tasks. Clan Points owned can be checked anytime from the Vertex section of the rank board. Clan ranks are Bronze, Silver, gold and Platinum and are determined by the amount Clan Points owned by the members of the clan. At the end of the event period, the clans in each rank will be either promoted or demoted based on their performances. After joining a clan, you can participate in various clan-exclusive activities such as clan chat and clan boosts. Earning Active Points while you are in a clan also gives you an equal number of Clan Points. Don’t forget that higher clan ranks wield you more Gold! Clan boosts are activated by spending Gold and give helpful benefits to your whole clan. The higher your clan's rank, the more effective these boosts will be! Clan Rank changes in accordance with Vertex results. We wish you good luck in the new Vertex Event, may your clan prevail! 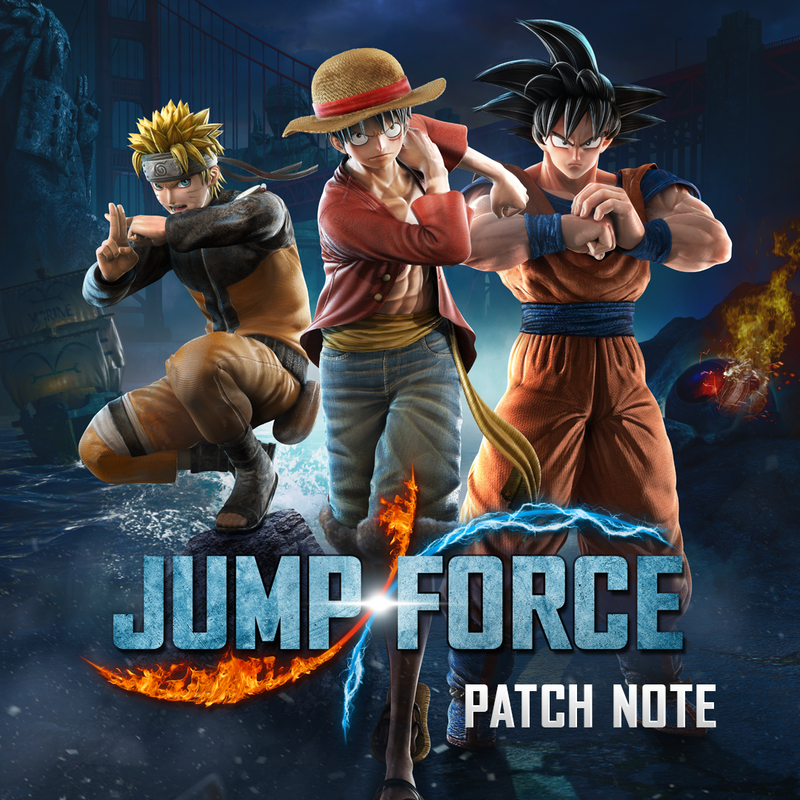 A new patch releases topday for JUMP FORCE. The patch will improve the game stability and the gameplay thanks to various battle adjustments. New costumes and a new Clan counter are also availabel from now on at the Umbra base. Last but not least, the upcoming online event 'Vertex' will be available soon. The JUMP FORCE development team is working on more improvements to keep on improving your game experience. We will keep you updated about the release of the next patches.